She had a feeling that things were going to change. She didn’t know what, exactly, but she could see herself trotting down that path, day after day. Something was coming up on the road she had been traveling, but what it was, exactly, she couldn’t tell. It scared her. And she was never scared. “Ah still don’t understand why ya have to take me into the Everfree Forest!” The orange cowpony complained to her pink companion, who was hopping up and down as they walked through the thick trees. “I told you already, you silly silly filly,” the pink one said. “We have to get to Zecora’s so we can get some of the super fun stuff she created for the party we’re throwing in Ponyville tonight!” The orange one sighed. “Rainbow’s busy clearing the clouds today,” Pinkie said, not losing her exuberant energy one bit. “Besides, she’s not nearly as strong as you are! And we need all the strength we can get from one pony!” Applejack merely groaned as they continued to trot. She stopped, however, once Pinkie turned an unexpected turn into a darker patch of trees; one that Applejack had never been through. “Iiii found a shortcuuuuut~!” Pinkie proclaimed in a sing-song voice, interrupting Applejack’s statement. “Seriously; this way takes tons less time than that old, boring path! Plus, it’s a lot more funnerific!” Applejack glanced from her friend to the well-worn path; then back to Pinkie, and then to the trail again. “Well, ah-” But Pinkie had already started walking, singing a song about trees as she did so. Nervously, Applejack followed her into the darkness. “Did AJ ever say where she was goin’?” The red stallion asked. He had been plowing for the majority of the day, not minding the extra work that had been thrust upon him due to his sister’s sudden absence, and was now resting underneath a large apple tree. The filly he had addressed was studying a book that her class was assigned to read under a tree next to him. The cover was a simple blue, and the story was a simple tale of two ponies that would simply fall in love and had to overcome all sorts of not so simple obstacles in order to simply end up together. And then they would die. “Ah still don’t understand why we have ta read this stuff…” She mumbled, flipping the page of the book she was so bored with. Big Mac grunted unhappily as he stood up on his sturdy hooves. “It’s prob’ly important work. She wouldn’t have left the farm today if it wasn’t important. Don’t matter. Besides, you have work of your own to be doin’, little filly.” He began to trot off and resume his day of work “…And ah don’t like that Everfree Forest,” he added in a quiet mumble. She knew this would happen. Applejack banged her head against a tree in frustration. She just knew that they’d get lost. “Ooh, it’s that tree!” Applejack looked up to see Pinkie staring at one of the many trees surrounding them. “Oh right, silly me; we have to keep going this way!” Pinkie rushed ahead of Applejack as she bounced off. Applejack followed quickly. At long last, they had reached a clearing, and the source of the sound Applejack had heard earlier. The stream ran wide and fast. It also appeared to be very deep; the two ponies noted that it wasn’t the same river as the one occupied by the sea serpent several miles off. Maybe an estuary of that one, perhaps, but not the same exact one. “Huh. Don’t remember this being here,” Pinkie said as she began to walk off, looking for the way to Zecora’s; something to trigger a memory. She saw him standing several hundred feet away, farther down the water. He was small; maybe a year or two older than Apple Bloom. His body was tinted a bright and lively shade of green; not a bit of him looked sickly or pale. He was built much like Big Macintosh, Applejack noted. The pony was taking a drink from the still stream. He looked up and saw the mare staring at him. She wanted to look away, embarrassed, but she couldn’t. Something kept her gaze fixated on the colt. He smiled at her. “I found it!” Applejack looked back to find Pinkie Pie running back to the edge of the stream. “Applejack, what are you doing all the way out there in the water? Ooh, is this a new game?” The cowpony looked away from Pinkie and back to the- where was he? The pony from before was gone. She slowly made her way back to the ground, shaking the water off of her. “…Anyway, I found the way to Zecora’s! Come on!” Pinkie bolted away, with Applejack trotting slowly behind her. Applejack looked back one final time at the river before disappearing into the trees again. Something was wrong. Something had been changed. Applejack woke up very early that morning with a smile on her face. She wouldn’t let her lack of sleep that past night dampen her exuberance. The sun hadn’t begun to peak over the hills yet. She walked through the large abode in which she lived happily, looking at the pictures hanging on the wall of her entire family with joy; however, she focused on the photos that captured her immediate relatives. Her parents had died several years ago, and Granny Smith had passed on a month or two ago due to old age, but with Big Mac being the man of the house, they never had anything to fear. She knew that the four of them had lived on Sweet Apple Acres for years without a problem, with extended family visits never unexpected and always welcome. Though, they hadn’t had a reunion in quite some time. ‘Maybe we should have one soon…’ she thought, smiling at the pictures. ‘But then again, who needs the rest of them? We’re the perfect loving family, so adoring. And I love them every day of every week. So, my little brother raises hell, my older one is boring, and my sister, though a genius, is a freak.’ She sighed. ‘Still, I help them love each other. Colts and fillies; sisters, brothers, cheek to cheek.’ She was broken from her reverie when she heard a noise from the kitchen. Nervous, she walked inside, seeing Apple Bloom sitting at the table, a large textbook sitting on top of it. Her eyes scanned the content of the pages tiredly. “Sugarcube, is everything alright?” Applejack asked gently. Apple Bloom looked over at her older sister, startled by the noise. “It ain’t even time to get ready for school yet.” The yellow filly yawned loudly. “Everythin’s fine, AJ,” she said, rubbing her eyes. “But it is mah last year studyin’ at school here; ah need to work real hard if ah wanna get to go to Canterlot.” Applejack remembered; Apple Bloom had been going on about it for several months now. There was a special, selective two week program at Canterlot for young ponies who had just finished their primary school studies and wanted to pursue learning. And Apple Bloom, who - along with her two friends, Scootaloo and Sweetie Belle - still had not gained her cutie mark, wanted to get in so that she could find out what it was that she was meant to do. Applejack smiled. “Alright, just don’t work yourself too hard,” she said. “Take some time for yourself… you’re growin’ up so fast. Ya only live once, remember that.’ Apple Bloom muttered something, acknowledging what her sister had just said, as Applejack left the room. “Much obliged, li’l sis,” Big Mac said, stretching his legs as he yawned. Applejack smirked at her brother, planted a small kiss on his cheek, then left for the kitchen once more. When she returned, she found Apple Bloom sleeping, drool leaking onto the open pages of the book she had been studying moments before. Applejack wiped up some of the liquid with a nearby towel, letting the filly get at least a little bit of sleep in before she had to go to school. She moved over to the coffee pot and began to get a cup of joe ready for her older brother. “Hey, sis!” She turned around and saw the green colt trot in, a smile on his face. Smirking back, she gave him a peck on the cheek like she had done to Big Mac before. “What’re you doin’ up so early?” She asked the pony. He groaned in response. “I couldn’t sleep that well,” he said. “Ah, yes, and today’s winner is?” An apple from the counter made its way into her younger brother’s mouth. “Because that happens,” he sarcastically commented, biting into the apple expertly. Rolling his eyes, he spun around. “How can I sleep, when I have to be babied for my whole life? Come on; I’m a whole year older than Apple Bloom!” He pointed at the sleeping filly to make a point. “Why do I always have to be treated like I’m the little one?“ He asked, huffing. Applejack chuckled softly. “Would ah lie ta you?” She asked, hugging him closely. “But only if ya work hard out on the farm. Now git!” Applejack gave him a pat on the back as he chuckled and started toward the kitchen door. The slow trotting of hooves on the stairs above them caused him to stop. “Hurry up,” she continued. “Why does he hate me?” He asked, looking up. Applejack raised a hoof to her chin in mock thought. She shrugged her shoulders. The other one smirked. “You can’t call me a mule,” he said. Apple Bloom mumbled in her sleep, opening her eyes for a brief second before closing them again. “Morning, sunshine.” With that, he left, heading outside toward the trees as Big Macintosh trundled into the kitchen. As if on cue, the pot of coffee began to boil. Just the four of them. She had forgotten to take the pills that day. She found herself in the bathroom, looking at herself in the mirror. The mirror, which was above the sink. The sink, which was next to the toilet. The toilet, which was next to the doorway. The closed doorway. She examined the bags under her eyes. The cowpony hat on top of her neatly brushed mane. The completely average - if not slightly toned - physique. Everything was normal. Nothing had changed. Or so she had hoped. She recalled what had happened over the last month. It had started with a conversation. “AJ, are ya alright?” The pony tossed the bale of hay into the barn and looked over her shoulder to see Big Mac standing behind her. She flashed a phony smile as she began to walk past him. “So you’re graduating in a few months, right?” The purple baby dragon asked Apple Bloom as they sat down in front of the tree that acted as the library of the town. “Next month, as a matter ah fact, Spike,” Apple Bloom replied. Spike whistled. “I think you need to take some time to relax,” Spike said. “So, Spike,” Apple Bloom started, wanting to change the conversation, “how’re things goin’ with ya an’ Rarity?” The mentioning of the pony of his dreams caused him to chuckle slightly. “Eh, I’ve abandoned all hope,” he said, waving his hand through the air. “She’ll never see me the same way I see her.” Apple Bloom playfully hugged Spike. The two laughed in unison as they enjoyed each other’s company. “…And that’s all that happened.” The purple unicorn listened intently as she stared at the pony opposite her. Applejack had come over to the library to talk with one of her best friends, Twilight Sparkle. Applejack had been feeling unwell, and, not wanting to go to the hospital and having to deal with those pesky, annoying nurse ponies, opted to talk with her magical friend. Twilight had asked her about the last few months, wanting to know if this sort of thing had happened before. She recounted her journey with Pinkie into the Everfree Forest. “Anything else you remember out of the ordinary from that trip?” Twilight asked. Applejack shook her head. “I’m sure it isn’t that bad, Applejack,” Twilight lied. The pony before her had noticeably lost weight over the past few weeks, and her lack of energy only made her worry even more. But she didn’t want to have Applejack worry too much. “All you need is rest!” Applejack scoffed at the comment. “Applejack, you’ve never been fond of me using my magic before to help you. Remember? ‘That’s not how we do things ’round here in Ponyville’?” Twilight put on a southern accent in a poor attempt to imitate the other. “How is it different?” Twilight asked, raising her voice a touch. “Because this is somethin’ much more than just… gatherin’ apples or… plantin’ seeds,” Applejack said. “Much more. This is family.” Applejack looked down, trying to avoid Twilight’s gaze. “Ah’m… the glue. Ah could lose them. And ah don’t want to lose what ah have.” She looked out the window of the library, and could see Apple Bloom talking with Spike. The two of them laughed, and began to run off out of sight. “She needs me. They need me. An’ now ah see her feel the fire. Now ah know she needs me there to help.” She chuckled hollowly. “Ah’m nowhere.” Applejack turned back to Twilight. “You understand, don’t ya?” Twilight sighed. “But…?” Twilight looked at her friend with sad eyes. “I can’t let my best friend do that!” Twilight said, backing up in frustration. “There’s no telling what side effects there could be to these things! I don’t know; Zecora doesn’t know!” Applejack looked deep into her friend’s eyes and could see that she was holding something back. “A few weeks,” Twilight mumbled. Applejack inched closer. “Please, Twilight,” she pleaded. “Ah can’t let mahself go crazy. Big Mac… Sweet Apple Acres… they mean all of Equestria to me.” Twilight groaned in defeat. “Don’t ya need to study for them tests comin’ up?” The little one scoffed. The effects were already becoming evident. Applejack was much more calm and subdued. She’d go about to do her daily work, as would Big Mac, and would help prepare dinner for the family when they were both done. But she felt like something was missing. She was standing in front of the mirror. The half empty containers of pills were in the open medicine cabinet. “Applejack?” Turning, she saw her younger brother in the doorway. “It’s half past midnight; is something wrong?” She felt as if she hadn’t seen him in weeks. He yawned while waiting for a response. “Sorry, sugarcube,” she said. “Ah’ll be back to bed… in a few minutes. Don’t ya worry none.” Unconvinced, her younger brother walked in and looked at the pills in the cabinet. “You know, I think these are doing something to you,” he said, closing the cabinet. “You don’t need them,” he whispered before leaving the room. She thought of the days of her youth wistfully, closing her eyes and remembering a time when she would run around with her only care being tending the farm. And to her family. “An’ all the while the wild wind blows, stainin’ you with snow, an’ soakin’ you with rain. Ah miss the pain.” Opening her sad eyes, she gazed at her reflection once more. A hollow chuckle escaped her mouth before she continued talking to her brother. “Mountains make ya crazy! Here it’s calm, and mah hooves are on the ground. Everythin’ is balanced here and on an even keel. Everythin’ is perfect!… Nothin’s real!” With that statement, she forcefully re-opened the medicine cabinet and removed the two bottles with her mouth, setting them on the sink. She opened up the toilet seat cover. “Nothing’s real!” Applejack reached up with her hooves and, in a flash, took her hat off her head and threw it aside. She didn’t bother to look over at the doorway to see that her younger brother was no longer standing there; didn’t bother to notice that she was speaking to herself. Her hooves and head had begun to shake erratically, trembling at random. It was as if a shock of electricity was coursing through her body. With lucid eyes, she looked at the final bottle of white pills. Trembling, she picked it up with her mouth, and dumped its contents into the toilet as well. With a shaking hoof, she flushed them down the drain, watching them disappear. She waited to feel again. “I should be the one asking you that question!” The laughing pony said. “I heard that you’ve been a little unwell.” The smile disappeared from Applejack’s face, replaced with one of fear. “Eh, nothin’ much,” she said. “Just that you’ve been a little under the weather.” The other thanked Celestia profusely inside her head. “Good to know. And I’m doing great!” Rainbow Dash spread out her wings to emphasize the point. “I hear the Wonderbolts are gonna come to Fillydelphia sometime soon, and since that’s not far off, I’m thinking I’m gonna go out there and show them my stuff!” The mentioning of the famous aerial team made the other chuckle in appreciation and admiration. “Ah’m happy fer ya, sugarcube,” she said. “Actually… I have. All of them. We’ve done stuff, but… it’s just not the same without you. We miss you.” Applejack could almost tell that Rainbow Dash was hiding something more, but she brushed it aside. “We’ll do somethin’ before ya leave,” she said, the smile returning to her face. “Ah promise ya.” With that, she continued on her way back to the farm, leaving a discontent pegasus pony behind her. The acres were quiet as dusk began to settle over the farm. The sky was a myriad of oranges, reds, and pinks. Soon, they would give way to Princess Luna’s illustrious night, where only the darkest of blues and blacks would appear. The solitary sound that could be heard was that of three voices, singing in unison inside the living quarters of the house. Smiles were on every face as the apple cake was placed on the table in front of the birthday filly. Six candles were ablaze. She began to inhale, even before the singing had finished. As soon as the last note was hit, clopping of hooves and soft cheers began to echo throughout the room. Apple Bloom blew out all six candles in one breath. “And like I said, you need to live a little!” Spike said, giving her a pat on the shoulder. “Which is whah we’re havin’ this little celebration right now,” she responded. “All ah need is fam’ly.” Her smile illuminated her face. Meanwhile, Big Mac was looking around the kitchen for his other sister. “Now where did AJ run off to?” He thought aloud, moving out of the room in search for the missing pony. “Thanks fer comin’, Spike,” Apple Bloom said, serving Spike a small slice of the cake. It had been Apple Bloom herself that had insisted on bringing Spike to the small party. “Now what’s this here?” Apple Bloom asked, feigning curiosity. “Spike? Actually concerned ‘bout manners?” Hearty laughs escaped from her mouth. “Wow, ain’t that a surprise!” Spike raised his eyebrows slyly. “S-s-stop!” Apple Bloom cried out in between fits of giggling. “Ha ha h- OOF!” The game was interrupted as the two of them came tumbling down, Apple Bloom falling backward off the chair, and Spike, losing his balance, falling with her. Their fall was broken by the soft carpet beneath that section of the dining room, with the dragon landing on top of the filly in a very uncomfortable position. After several moments, he pulled himself off of her as he blushed, muttering a small “sorry”. She straightened herself out as she got up, putting the chair back into an upright position. Not a moment had passed since the chair was fixed that Applejack walked into the room tiredly. “Whah, ah never,” she muttered to herself. The two children spun around and froze, as if Applejack had caught them doing an unthinkable act. “Ah can’t believe yer brother, little sis.” The two breathed a sigh of relief. “What’s wrong?” Apple Bloom asked. “What’s wrong?” The older sister echoed. “Whah, he didn’t even come down to sing ta ya! But don’t you worry none, sugarcube; Ah’ll make sure he makes it up to ya.” Apple Bloom simply stood still, a confused look frozen on her face. “What’re ya talkin’ about? Big Macintosh was here,” she said, matter-of-factly. As if controlled by some supernatural power, the stallion in question trotted into the dining room at that moment. All action in the room ceased, as if everything had been frozen in both time and ice. Big Macintosh appeared like he had just seen an apocalypse unfold before his eyes; a look of shock and fear adorned his face. Apple Bloom merely remained silent and unmoving, her mouth agape slightly. Spike was only growing more and more confused by the second. “AJ…” Big Mac whispered, his eyes growing misty. Applejack looked at him inquisitively. “What?” She asked, as if nothing out of the ordinary was going on around them. “I didn’t know you had a younger brother,” Spike whispered to the filly next to him. Apple Bloom snapped back to reality, and slowly turned toward him. “What in tarnation are y’all whisperin’ about?” Applejack snapped, looking wildly from the two younger ones back to her brother. “Horsefeathers,” Apple Bloom muttered with disdain. Big Mac momentarily broke his stare with Applejack to address the comment. “Dead…?” Applejack asked, still in a state of confusion. She felt like the whole world was crashing down around her. “I think… I should go,” Spike said, preparing to exit the room. 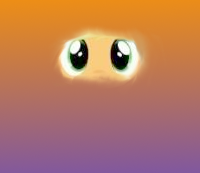 Before he could leave, he saw Apple Bloom’s pleading eyes. “…We should go.” They walked away. The two remaining ponies could hear the shut of a door, signaling that they were now alone. “Define normal. Ya don’t know what it’s like to go through all this.” As Applejack spoke, he shook his head, trying to make sense of all that was happening. “Ah… ah don’t know, Spike.” The two found themselves sitting on a nice patch of grass under a large, overgrown apple tree. “Ponies ’round these parts can be strange folks. An’ ya heard mah brother.” She let out a chuckle, devoid of happiness. “Seven years. Ah don’t know why she’s only doin’ this now.” Her voice began to crack. “Ah mean… did she always think he was here? Does she care about him more than…” She couldn’t finish the sentence as tears began to silently stream down her face. “Oh, Spike, ah don’t know what to do!” Her sobs became open now as she pushed her face into the ground. Spike nuzzled next to her and held her head, stroking it softly, hoping not to make matters worse. “Shh, shh,” he said, trying to act more mature than he knew he was. “There, there. Everything’s gonna be alright, you’ll see.” Apple Bloom raised her head long enough to look the dragon in the eyes. “Whah do ah believe you?” The tired pony rested her head on his lap as he continued to pet her. She wanted to ask, “why do I feel so safe with you?”, but she couldn’t bring herself to. Instead, she remained in his tender embrace. “Luna really outdid herself tonight,” he whispered, looking at the beautiful nighttime sky presented to them both. “…Everfree. When ya go into that Everfree Forest, where do you go?” Applejack tilted her head quizzically. “Where do you go? !” Big Mac repeated stoically, slamming his hooves firmly on the ground for emphasis. Applejack walked backwards, frightened by her brother’s sudden outrage. “Ah don’t remember!” She shouted back, tears filling her eyes. “Ah don’t know!” Her brother sighed, putting his hooves up on the table and closing his eyes, trying to relax and concentrate. He exhaled slowly. “AJ,” he said after a moment of silence, “ah want to help. Ah know yer hurtin’.” Applejack had backed herself into the corner of the room, her eyes wide as saucers. “Yeah. Ah’m hurtin’ too.” Applejack took that statement as clearance to walk forward. “Do ya wake up in the mornin’ and need help to lift yer head? Do you know?” She asked, continuing her advancing assault. “Ah said, do ya know? What it’s like to die alive? Do ya know what it’s like to feel that Equestria once had color, but it’s faded to white and grey and black? Or when tomorrow terrifies you, but you’ll die if you look back?” The cowpony shook her head vigorously. “You don’t know!” An accusing hoof was pointed at her brother as her face twisted in pain. “Ah know ya don’t know. Ya say that yer hurtin’!” She guffawed. “Well, it sure doesn’t show! An’ it lays me so low when ya say let go and I say ya don’t know!” Now Big Macintosh was the one who was backpedaling. “The sensation that yer screamin’ but ya never make a sound,” she went on. “Or the feelin’ that yer fallin’ but ya never hit the ground. Ya don’t know what it’s like to live that way!” Her voice bounced off the walls as she approached the table. “It’s like some dark horse is after me, and ah’ve done somethin’ wrong. If it gets me it’ll kill me, but ah don’t know what ah’ve done!” With that, her hooves moved erratically, knocking off all the silverware on the table in one sweeping motion. Big Mac, fed up, strutted forward with determination plastered on his face. Applejack just wanted to disappear. She shut her eyes, thinking that when she would open them, she’d be somewhere else. However, when she did lift her eyelids, she was still in that same room, with her older brother staring at her from across the room. But one thing had changed... she noticed another figure begin to enter the room. “Hey guys, it’s me,” he said. Her eyes lit up with joy as she saw her younger brother walk into the dining room. “Sorry I couldn’t sing for Apple Bloo-” He quickly noticed the tension in the air. “What’s wrong?” Applejack gulped, hoping Big Mac wouldn’t notice the other pony now in the room. “’Cause ah’m the one who’s helped you, an’ ah’m gonna help us get through all this pain.” Applejack returned her attention to her older brother, who was now only inches away from her. She looked at him with derision. “I won’t let go,” the voice from behind her whispered in her ear. “You say that ya know!” She shouted, backing away. “You don’t know…” Big Mac whispered as he reached out for his sister, helpless as he watched her walk away. He sat down at the table, defeated. Applejack felt her younger brother’s hooves around her as she retreated from the area. “No, you don’t know,” she could hear him say. She felt her hooves carry up the stairs. The door was locked behind her. Luna’s moon was brighter than usual that night. Big Mac stared at Twilight; a worried look was plastered onto both of their faces. Twilight had known the stallion before her to be calm, cool, and collected. Now, he was in her library demanding answers. She remained silent. The silence permeated the room for what seemed like hours. They could hear the soft giggling of some ponies outside the library. The chirping of birds sounded through an open window. Twilight got up and closed the gap to the outside world before divulging unto Big Mac the answers that he was looking for. “I’m sure you’ll find a way,” Spike replied. “You always do.” He sat down on a chair that was positioned at the desk, while a laughing Apple Bloom rested on the bed. She soon became quiet and grew solemn. “Ya know how it is… them parental figures.” A nervous chuckle came from Apple Bloom. The filly’s laugh died off and was replaced with a quizzical look on her face. “I… never really knew my parents,” Spike muttered. “All my life, all I can remember is… life in Canterlot. Being put into the service of Princess Celestia. Twilight’s the closest thing to family I have. And you guys, of course,” he added hastily. Apple Bloom opened her mouth to respond when the door swung open wildly. The two backed away from each other instantly, looking at the entering Applejack. “Apple Bloom!” She said breathlessly. “Scootaloo and Sweetie Belle are here ta see ya!” Awkward and stiff, she left just as soon as she had arrived. The two remaining simply stared at each other. “Are they datin’, or what?” The stairs creaked under Applejack’s hooves as she asked the question. She watched as Apple Bloom left the house with her two friends. “Yeah. But what does he approve of?” With that, he left. Applejack had been watching him go when the sound of the front door opening caused her to spin around. She forced a smile as Big Mac entered. “Ah’m home,” he said to no one in particular. “Had some business in town,” he responded, walking into the kitchen. Applejack followed. “A certain Miss Twilight Sparkle,” he said. A gasp caused him to look at Applejack; her smile had fallen. “Y’all think ah’m crazy,” Applejack repeated. “Are ya sure?” She asked, doubting. Applejack couldn’t remain angry after the true statement rang in her ears. Her grimace subsided, and she sauntered slowly toward her older brother. The two embraced. He didn’t bother to note the yellow filly with the pink mane he had run into on the way back. Rainbow Dash hated to wait. Yet when everypony else had left, she remained. She trusted that she would come. But, as the night went on, it became apparent that the cowpony would not be showing up. A roar of thunder in the distance caused the filly to jump a little. A sigh came forth. With a grunt, she lifted herself into the air with her wings, heading to her home in the sky, a plan formulating in her mind. The waiting would soon be over. Magic Gladden - or Madden, as he was not so affectionately referred to by others in his workforce - had gained a notable reputation by those in the medical and scientific fields at Canterlot. However, that reputation was not one of bravery and heroism; rather, his was one shrouded in infamy. During his first demonstration of his newfound technique, those watching reacted with vehement fervor. When Big Macintosh had been told about this pony by Twilight, he was skeptical at first. However, the strain on his family that had resulted from Applejack’s problem was a larger weight on him than that of his curious doubt. Twilight assured him that she would make sure that Madden would not try anything on Applejack that they did not agree with. Reluctantly, he decided that it was for the best. The day the pony entered town, he told Applejack various things; he neglected to tell her about the particulars of this pony’s past. She merely nodded her head in acknowledgement before receding into her private world. Apple Bloom stared out her window in complacent pondering. She watched pegasi move the clouds above her in the sky, setting them so that the weather might bend to their will. In a few brief seconds, she found herself trotting outside her room and into the hallway by the stairs. Her eyes filled with anger and betrayal as she saw Applejack in front of her. She lost her cool. Apple Bloom stared in disbelief as her sister looked off and above her head, seemingly staring at something behind her. She didn’t bother to turn around; she knew there was nothing there. The sky was still dark when Applejack and Big Mac arrived at Twilight’s tree. They had made it in time to see the unicorn herself exit the front door. “He’s in there waiting,” she stated matter-of-factly. Big Mac let out a small “humph” of acknowledgement, having been told a few days prior that the doctor would be staying with her. “Spike’s not in there. It’ll just be you.” Twilight trotted away as the remaining two let themselves into the tree. The main floor of the library was clean as a whistle. Two comfortable-looking, plush chairs were positioned in the center of the room so that one was facing the other. A blue coated unicorn peeked his head out from the door to the kitchen. “Oh, I’m sorry, I didn’t hear you come in,” he muttered. He grinned as he adjusted his glasses and shuffled into the larger room. Applejack’s eyes became fixated on the pony’s cutie mark; a pair of glasses - not unlike the pair he was currently wearing - with a small spark of lightning behind it. She felt a shiver run down her spine as she gazed into his piercing pale eyes. “Hello, doctor,” Big Mac said as he trotted forward to greet the new pony. “Please, call me Madden,” he insisted. “It may have rustled my mane in the past, but I’ve grown accustomed to it.” One of his hooves ran through his silver hair as he said so. Hesitantly, Big Mac nodded and turned around, taking a quick glance at Applejack over his shoulder before leaving the library. “Ah’ll see ya… uh…” He paused as he looked at the doctor, then his sister; and back at the doctor. He let out a soft grunt as he exited. The door shut behind him. Applejack sat still as the doctor stood behind his own chair on his hind hooves, leaning on it complacently. She raised an eyebrow. “Would that be the next step for me?” She asked skeptically. “Hard to go about this,” Applejack muttered, leaning her forehead on her hooves. Madden’s horn glowed as a nearby clipboard and pen rose toward him. He began to scribble quickly. Applejack told him about the feelings she had been devoid of while taking the pills. She told him about how everything felt so plain when she was drugged, but at the same time, how miserable she was before she had seen Twilight about it. Her hair stood on end as she continued to spout out what was on her mind. ‘Stupid honesty,’ she would later tell herself. The pen stopped. The clipboard floated away to some far corner of the room. Applejack’s ears perked up at this. The two made their way toward the front door of the library. It dawned on her as she opened the door. The sun which had not even come close to rising upon her entering the library was now setting beyond the horizon. The time passing unnerved her. She spun around with her mouth opened, preparing to speak, but the doctor had disappeared. Applejack resigned with a sigh. “Whatever ya say, Rainbow.” A satisfied smirk spread across the pegasus’s face. “I’ll pick you up around five!” She shouted as she took off into the sky. A rainbow trail was left behind in the dark of night.